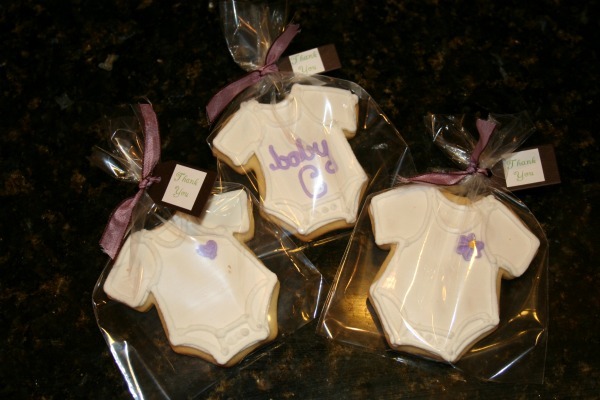 Almost a year ago, I saw these cookies on one of my favourite craft blogs: Homemade by Jill. 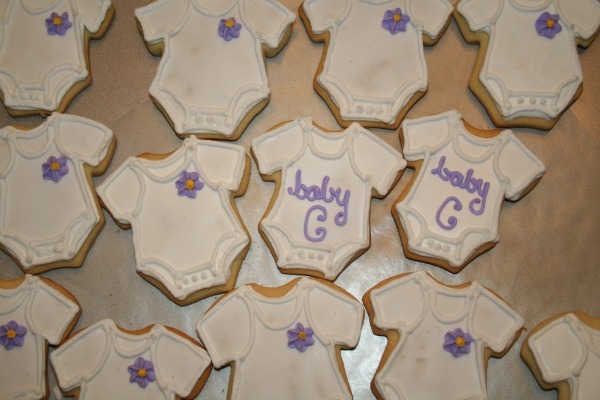 From that point on, I really, really, really wanted to make them for a baby shower. 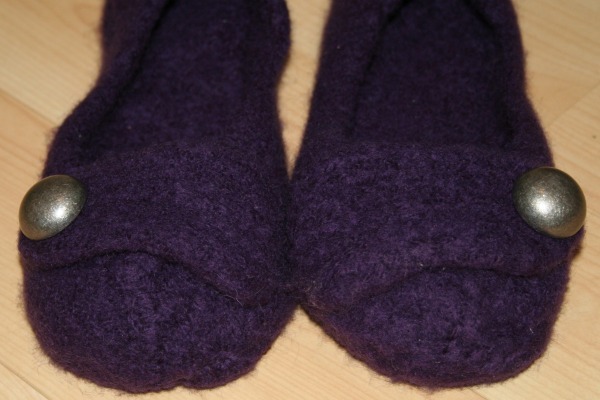 When I found out that my friend Kathleen (yes, from the slipper post yesterday!) would be co-hosting a shower for a mutual friend, I asked her if I could make them as favours. Wait - 'asked'? No...I begged. They're so darn cute!! And tasted great too. I used my Grandma's sugar cookie recipe (sorry, not sharing that one!) and a royal icing recipe from Canadian Living. There are lots of royal icing recipes that call for meringue powder, but my aunt (who is the queen of all things gingerbread) swears by using egg whites. So I did! I also got to use my Cuttlebug for this project. I cut out all the tags with the tiny tags die cutter and I discovered that the die was so sharp, I could cut several pieces of paper at a time. Holy time-saver, Batman! I printed off a bunch of 'Thank You' messages from the computer, cut them out and stuck them on. 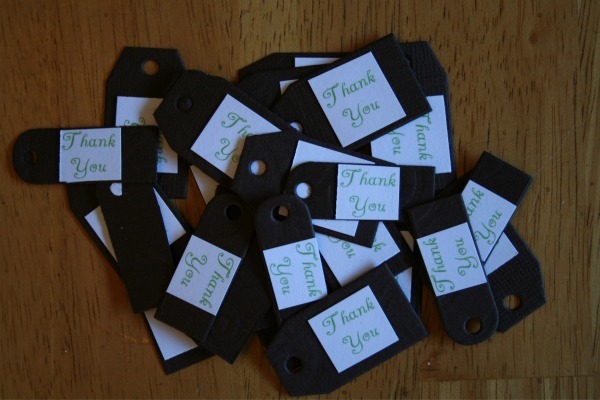 Originally, I was hoping to cut out the tags directly from the 'Thank You' message paper, but lining the paper up and getting it to cut straight (or even semi-straight) was sort of difficult. Above is the less-stress method. Becky (who's last name begins with a 'C'...does 'Baby C' make more sense now?) 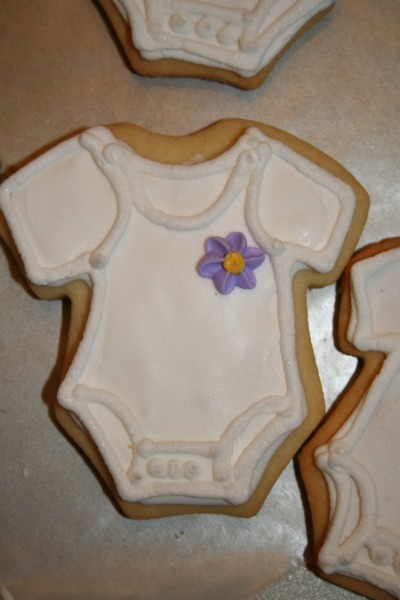 is having a girl, and although I gave her a few gender neutral clothing items (because what if the next one is a boy!? 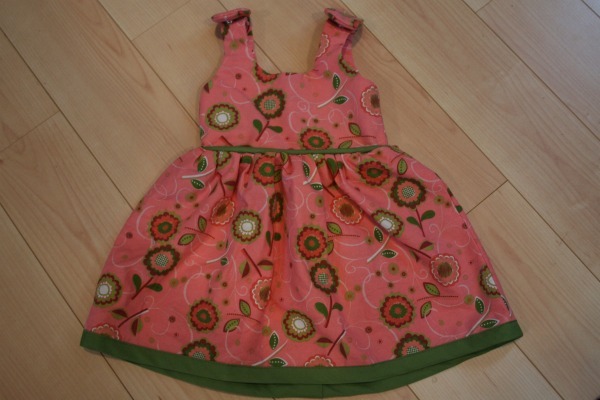 ), I had to make the Itty Bitty Baby Dress from Made By Rae. I altered the straps and replaced the ties with snaps. 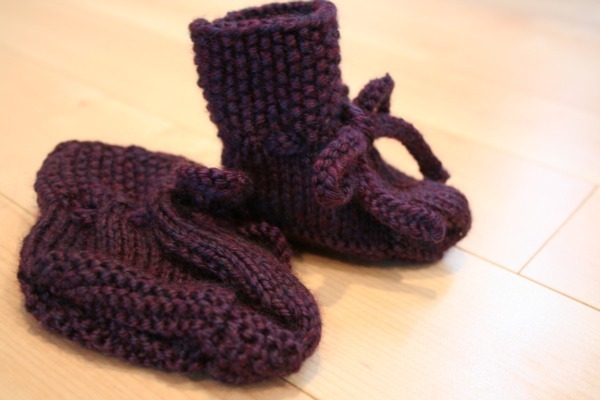 Also couldn't resist knitting up a pair of purple Perfect Baby Booties. I love Baby C's dress (I've been waiting with great anticipation for you to share it).